Thirty years ago in 1988 the Channel Handicap System, now named IRC, introduced its own Safety and Stability Screening (SSS) system to help race organisers decide on a boat’s suitability for a race from a stability perspective. All IRC rated boats still have a calculated SSS value printed on the certificate, with a higher number indicating a more seaworthy boat. The SSS value was never a pure ‘stability’ factor and CHS/IRC has never directly measured stability and avoids expensive inclining tests. The SSS calculation includes factors derived from principal dimensions and design characteristics that influence stability. One of the Rating Office Directors used to describe it as “How well would this boat take care of its skipper and crew in the event of an emergency?”. From a simple base size factor, SSS is modified for displacement/length, beam/displacement, sail area/displacement and beam/length ratios; plus rig type, keel type, engine and lifelines. For instance a boat with an inboard engine will be considered to look after its crew better than with an outboard; and simple rigs are more manageable and sturdy than complex, lightweight rigs. 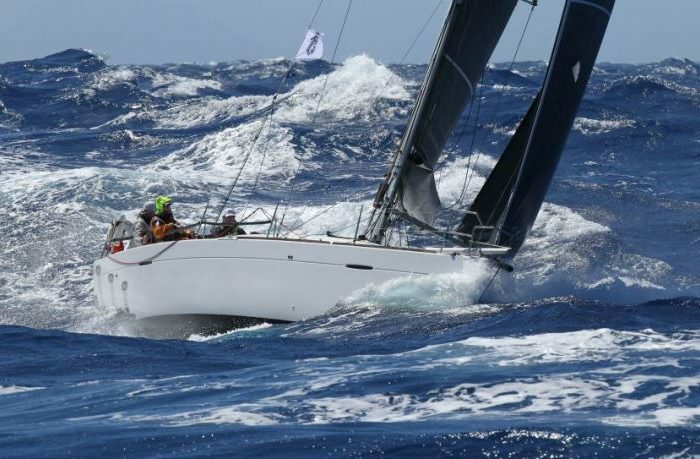 The SSS system has served owners and race organisers well and is still included in the World Sailing Offshore Special Regulations as an acceptable method of proving suitable stability for a race. With the introduction of the International Standard for stability (ISO 12217) 16 years ago, in 2002 IRC started adding Stability Index (STIX) and Angle of Vanishing Stability (AVS) on certificates where it is available. With the importance of being able to assess safety and seaworthiness for races, especially offshore, it is vital to keep up to date and apply international standards when they are available. From a practical point of view, STIX and AVS can be obtained in different ways: for recent, standard production boats there will usually be a certificate from a ‘Notified Body’, obtainable from the builder; alternatively the figures can be calculated by the design office or by the Rating Office on receipt of the appropriate stability data. It is, however, accepted that most older designs cannot obtain STIX and AVS without having an inclining test; to accommodate these boat in RORC races those with a series date earlier than 1995 may be categorised under either STIX or SSS, while designs from 1995 onwards must have STIX data. Click here for more information on STIX and SSS.